RE•WORK | Blog - What's Next For Virtual Assistants & Deep Learning? What's Next For Virtual Assistants & Deep Learning? Deep Learning continues to further advance and disrupt as we progress through 2017, with London one of the key global research and startup hubs for breakthrough AI technology. 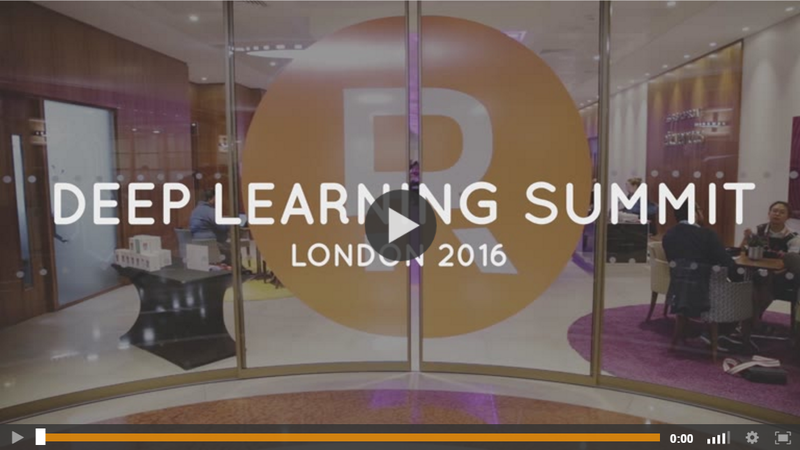 The 2016 Deep Learning Summit in London featured speakers from Google DeepMind, Bell Labs, University of Oxford, SwiftKey, NVIDIA, Imperial College, Bupa, Nervana Systems and more, with attendees travelling from across the globe to join us. Through talks, panel discussions, networking sessions and open-mic Q&As, we explored affective computing, unsupervised learning, autonomous robotics, virtual assistants, and applications of AI across industry. On 21-22 September, the Deep Learning Summit returns to London to delve into the latest technological advancements and trends with a global line-up of experts. The Virtual Assistant Summit, previously held in San Francisco with great success, will be held alongside the Deep Learning Summit, to allow further exploration with industry leaders in predictive intelligence, voice recognition and data mining. With less than 6 months to go until this year's events we're taking a look back at some of the mind-expanding presentations and interviews from 2016. At the summit, Murray Shanahan, Professor of Cognitive Robotics at Imperial College London and Senior Research Scientist at Google DeepMind, joined us to share expertise on enhancing deep reinforcement learning with symbolic reasoning, discussing ongoing work that aims to supplement deep learning in order to achieve rapid generalisation at a high level of abstraction. View an interview with Murray below. Murray Shanahan is interviewed by Nathan Benaich, Partner at Playfair Capital, sharing how he began his work in AI, the key discoveries he has made in his career, and tips for beginners in the field of maching learning. Beyond his academic achievements, Murray has also gained notoriety as the scientific advisor to the film Ex Machina, and he regularly appears in the media to comment on artificial intelligence and robotics. The Deep Learning Summit included a Chatbots Track that showcased the advancements in conversational self-learning bots and their impact on business and society. Matteo Berlucchi, CEO of Your.MD, shared insights into how virtual assistants are revolutionizing healthcare. View his presentation and slides below. In this presentation, Matteo Berlucchi delves into the process of building an artificial medical brain that is capable of finding the most likely cause of an indisposition. 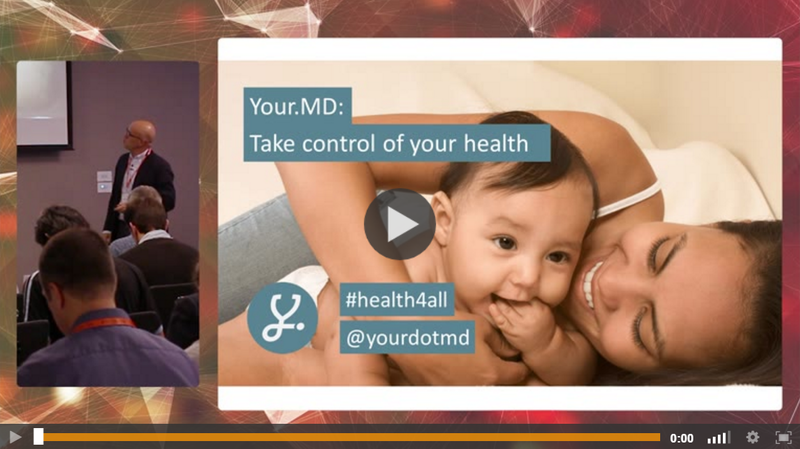 Through a set of intelligent algorithms, based on a doctors’ thought process, Your.MD is capable of reaching a comparable result to a doctor when given the same information - totally personalised to fit an individual's history, profile and current situation. Matteo also addresses the fundamental components that make this possible: a medical knowledge base, a chat-based interface, a medical AI brain and a safe platform to store individualised structural medical data..
View a selection of presentations and interviews from the 2016 events in London here and here, or contact Chloe cpang@re-work.co for video membership options. The annual Deep Learning Summit and Virtual Assistant Summit in London will take place on 21-22 September. Join us there and explore how deep learning will impact communications, manufacturing, healthcare and transportation. Confirmed speakers include Irina Higgins, Research Scientist, Google DeepMind; Andrew Tulloch, Research Engineer, Facebook; Ankur Handa, Research Scientist, OpenAI; Christopher Bonnett, Senior Machine Learning Researcher, alpha-i, and more. Opinions expressed in our blog and video content may not always represent the views of RE•WORK. As a result some opinions may even go against the views of RE•WORK but are posted in order to encourage debate and well-rounded knowledge sharing, and to allow alternate views to be presented to our community.